The shoulder joint is the most commonly dislocated joint in the body. This is because of lack of bony stability. 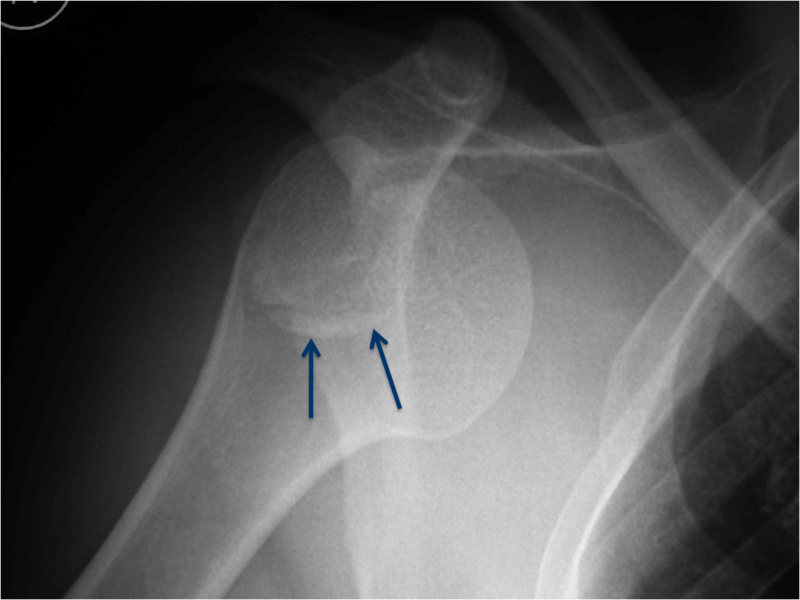 Following a traumatic shoulder anterior dislocation, certain pathologies in the shoulder joint can be found. 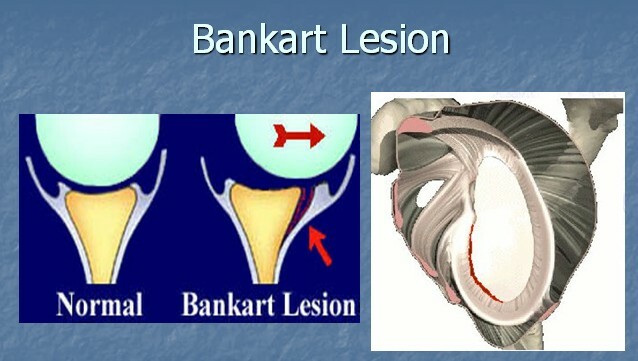 Creation of a Bankart lesion – this can be a soft tissue labral tear or a bony Bankart with a fractured rim of the glenoid with labrum still attached to the detached fracture. 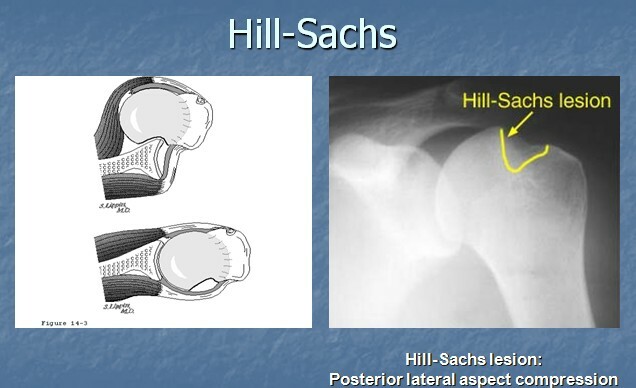 Hillsach’s lesion – this is a compression fracture of the humeral head created at the time of the dislocation. 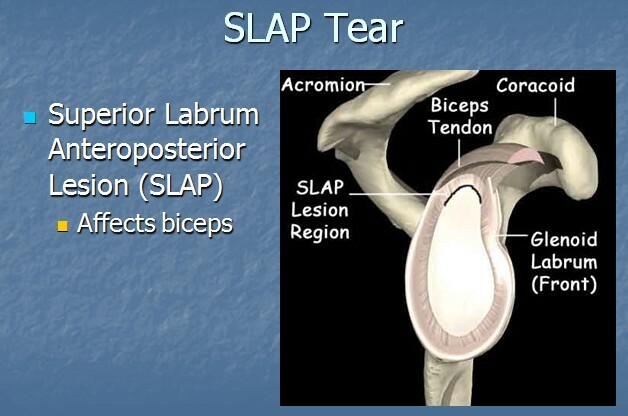 Possible superior labral tear – called a “SLAP” lesion. This is an example of a patient with an anterior shoulder dislocation. The bony Bankart lesion can be seen (arrows). Those who have suffered from previous shoulder dislocation will remember how painful this condition can be. The treatment is urgent reduction of the dislocated joint. 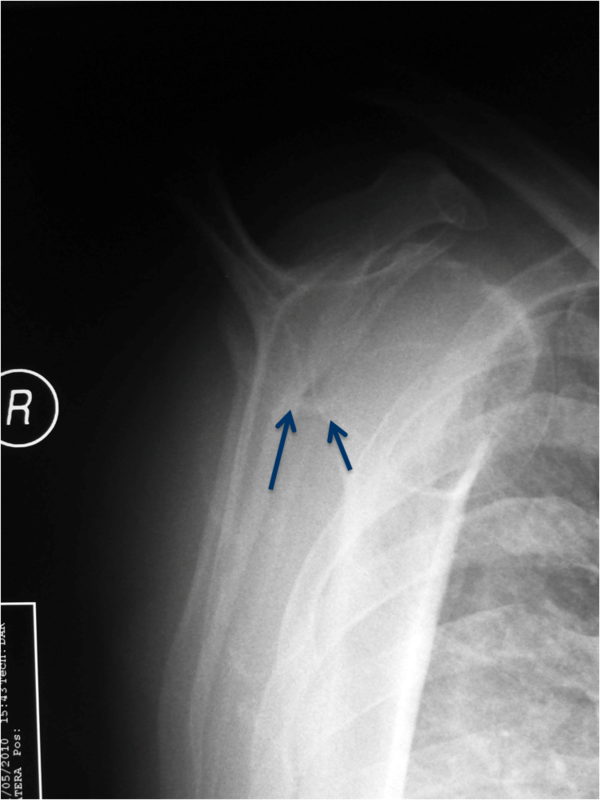 Most shoulder dislocations can be reduced at the Emergency Room setting under some sedation and analgesia. However, in some cases, the dislocation will need to be done under general anaesthesia. 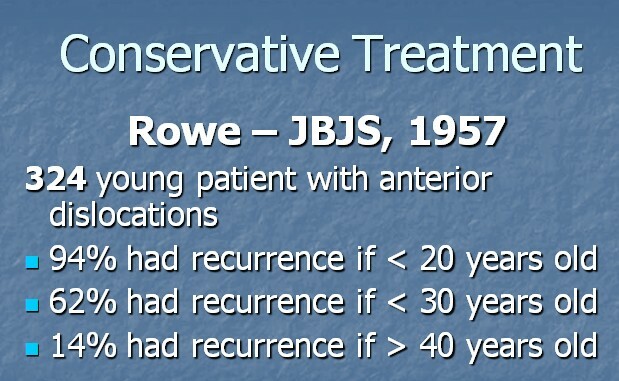 Such cases include those patients who are very muscular or sometimes in elderly patients with osteoporotic bones where injudicious forceful attempts at reduction may cause fractures. What Happens After A Shoulder Dislocation? The main problem of a person with a history of a shoulder dislocation is that of a re-dislocation or recurrent dislocations. The risk of this happening is higher if the dislocation happened when the person is at a younger age. As one grows older, the joint becomes stiffer and the risk of a re-dislocation becomes less likely. How Effective Is Non-Surgical Treatment? 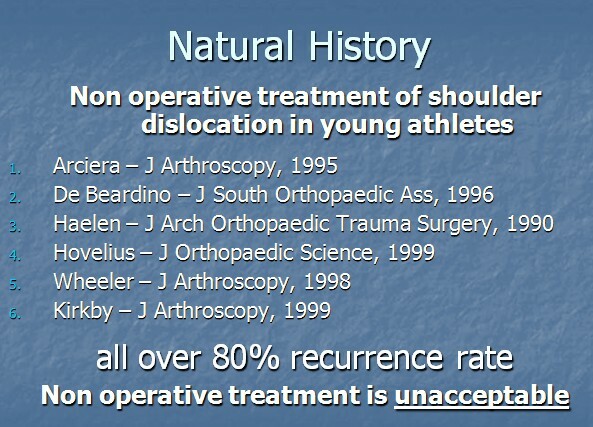 Many studies have shown a high risk of recurrent dislocation without surgical stabilisation of the torn labrum of the shoulder joint. Surgery is done using keyhole techniques. A camera is inserted into the injured shoulder joint via a 3mm hole from the back of the shoulder. This allows a complete arthroscopic examination of the shoulder joint and identification of the damaged structures e.g. labral tears, bankart lesions. Two additional holes are made in the front of the shoulder to allow surgical repair of the torn structures. In order to reattach the torn labrum back to the glenoid bone, special bioabsorbable suture anchors are used. This surgical implants are placed into the shoulder and help to secure the torn labrum back to bone to allow healing.